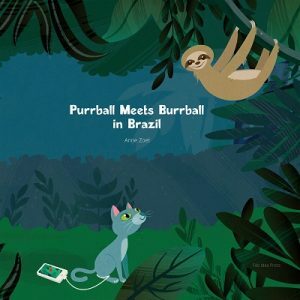 Purrball Meets Burrball in Brazil is a Delightful Book for Children! This is a really delightful story for young children! It is a story of friendship and family that children will love! It made me laugh out loud ans smile! The illustrations are just adorable and the rhyming story theme is just simply fun! Children will love the two main characters Purrball and Burrball. I highly recommend for ages 4+. How would you describe the characters of Purrball and Burrball? Why did you choose to write about a cat and a sloth? How do Purrball and Burrball use technology in the book? Why did you decide to set the story in Brazil? Anne Zoet is a freelance creative director in Silicon Valley. She studied at the University of California, Los Angeles, the Universite de Bordeaux, and the University of California, Santa Cruz, and graduated with a BA in art history. Anne is passionate about animals, art, travel, and the environment. 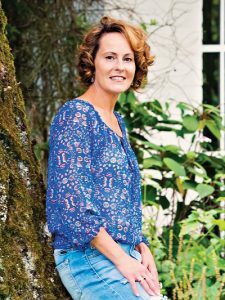 She also enjoys salsa dancing, building cat furniture and housing, cooking, and gardening. Learn more about Anne’s cat expertise at radlilcat.com. Anne lives in Santa Cruz and shares her home with three cats. Self Disclosure: I received a free copy of the book to participate in this book blog Tour. No other compensation was received.